Lionel Trilling: The Journey Abandoned — The Unfinished Novel by Lionel Trilling ’25 and edited by Geraldine Murphy. This novel by the late prominent literary critic revolves around Jorris Buxton, an elderly poet and novelist turned mathematical physicist, who is modeled on Romantic poet Walter Savage Landor (Columbia University Press, $26.95). 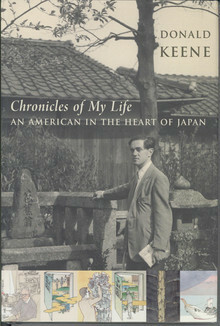 Chronicles of My Life: An American in the Heart of Japan by Donald Keene ’42, University Professor emeritus and the Shincho Professor Emeritus of Japanese Literature. The eminent Japan scholar tells the story of his New York childhood, his undergraduate years and his first encounters with Japan and its culture (Columbia University Press, $27.95). 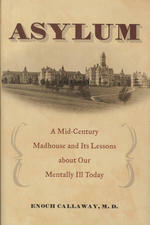 Asylum: A Mid-Century Madhouse and Its Lessons about Our Mentally Ill Today by Dr. Enoch Callaway ’45. In this study of Worcester State Hospital — the nation’s first state asylum, founded in 1833 — Callaway examines the life of a mid-century asylum and the way its story parallels advances and failures in psychiatry (Praeger, $44.96). What Would Martin Say? by Clarence B. Jones ’53 and Joel Engel. Jones, Dr. Martin Luther King Jr.’s personal lawyer and one of his closest confidants, remembers his old friend and ponders what King would say about the challenges facing us today [also see January/February] (HarperCollins, $23.95). The Phoenix Circa Anno Domini by George Junghanns ’53. A search to resolve the mystery of the ancient Egyptian “phoenix” through scientific and hieroglyphic evidence (Gauntlet Books, $20). Print Matters: How to Write Great Advertising by Randall Hines and Robert Lauterborn ’56. Print ads aren’t dead — they’re more important than ever, according to Hines and Lauterborn, who argue for the importance of this form of advertising and the strong writing skills it fosters (Racom Communications, $27.95). 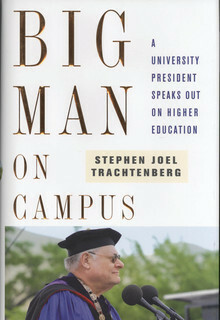 Big Man on Campus: A University President Speaks Out on Higher Education by Stephen Joel Trachtenberg ’59. Former The George Washington University president Trachtenberg gives readers a behind-the-scenes look at the challenges of running a modern university (Touchstone Books, $26). The Little Sailor by Anthony Valerio ’62. “All men come from women,” the book’s hero, Antonio, remarks, and during this narrative he remembers vividly the women who left their mark on him, both relatives and lovers (Bordighera Press, $9). The Radical Jack London: Writings on War and Revolution edited and with an introduction by Jonah Raskin ’63. This anthology of work by London, the popular author of The Call of The Wild, recasts him as a political writer, a radical who “wrestled with the issues of war, race and class” (University of California Press, $24.95). 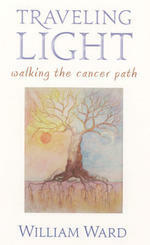 Traveling Light: Walking the Cancer Path by William Ward ’68. The author recounts his experiences of being diagnosed with a brain tumor; his outer path of hospitals, surgeries, drugs and the support of loved ones; and his inner path of self-examination and attempts to find the light in this dark episode of human life (Lindisfarne Books, $20). True Detective by James A. Huebner ’72. In this novel, two NYPD detectives investigate a series of crimes in search of someone who may be planning a terrorist attack (Outskirts Press, $21.95). Frederick Douglass and Herman Melville: Essays in Relation edited by Robert S. Levine ’75 and Samuel Otter. These original essays explore the convergences and divergences between the rarely-compared Douglass and Melville and develop new perspectives on literature, race, gender and politics (University of North Carolina Press, $24.95). Objects in Mirror are Closer Than They Appear by Lou Orfanella ’82. The first half of Orfanella’s poetry collection is a series of memoir poems inspired by his undergraduate years; the second half is inspired by the realization that the events in the memoir poems took place more than a quarter-century ago (Fine Tooth Press, $9.99). Jokes Every Man Should Know edited by Don Steinberg ’83. A selection of jokes applicable for a variety of gatherings and audiences. Where possible, the author includes the origin and alternative versions of the jokes, and tips on how to deliver the punch line (Quirk Books, $9.95). The Art of Racing in the Rain by Garth Stein ’87. In this novel told from a dog’s perspective, Enzo is learning as much as he can about human life because he thinks he will be reincarnated as a human. During his last, emotional days, Enzo attempts to communicate with and help his master, who is in a struggle with his in-laws for custody of his daughter (HarperCollins, $23.95). New York and Other Lovers by George Guida ’89. In these poems — set on the streets, in subways, in Central Park and Brooklyn — Guida ruminates about love, New York and love in New York (Smalls Books, $11.95). The Grateful Slave: The Emergence of Race in Eighteenth-Century British and American Culture by George Boulukos ’90. How the image of the grateful slave contributed to and was used to justify colonial practices of white supremacy in the 18th century (Cambridge University Press, $95). Troubled Apologies: Among Japan, Korea and the United States by Alexis Dudden ’91. Dudden examines political apology and apologetic history, focusing on the problematic relationship binding Japanese imperialism, South Korean state building and American power in Asia (Columbia University Press, $40). 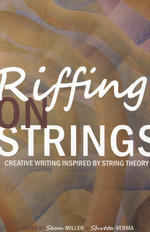 Riffing on Strings: Creative Writing Inspired by String Theory edited by Sean Miller ’92 and Shveta Verma. A collection of writings inspired by string theory, with contributors ranging from physicist Michio Kaku to poet Colette Inez (Scriblerus Press, $20). Lopsided: How Breast Cancer Can Be Really Distracting by Meredith Norton ’92. An unusual memoir about the bizarre, hilarious and harrowing experiences of the author’s battle with breast cancer, and the concepts of victimhood and self-pity [also see July/August Bookshelf feature] (Viking, $23.95). Current Concepts in ACL Reconstruction by Freddie H. Fu and Steven B. Cohen ’94. This new textbook contains complete and up-to-date information about the surgical reconstruction of a torn ACL (anterior cruciate ligament), including details about the newer double-bundle procedure (SLACK, $179.95). I Don’t Want To Blow You Up! by Ricardo Cortes ’95 and F. Bowman Hastie ’91. A children’s coloring book, illustrated by drawings of people with terrorist-associated names, aims to teach tolerance in the age of the war on terror (Magic Propaganda Mill Books, $11).